3. 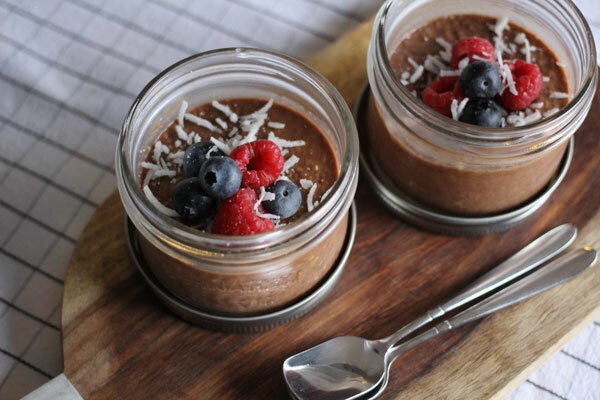 Make chocolaty chia seed and oat pudding in little mason jars and store in your fridge overnight for a grab-and-go breakfast. In a bowl, mash the banana with the cacao, maple syrup (if using), and water until it forms a smooth paste. Stir in the oats and chia seeds, and then the milk, stirring continuously until combined. Separate amongst 2 small mason jars and place in the fridge overnight. Serve topped with berries, nuts, shaved coconut and yogurt.